Be careful. This floor is slippery ... 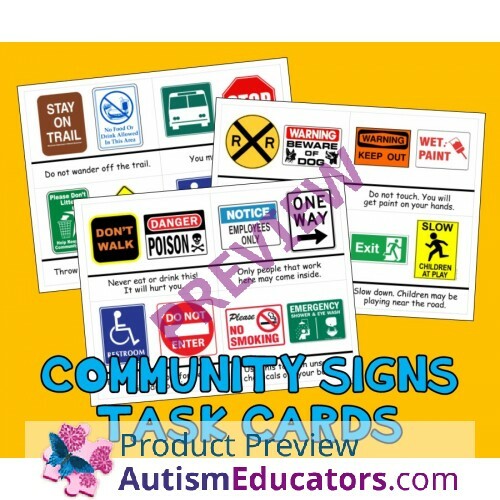 This activity is a great way to teach children about the basic signs found throughout our communities! 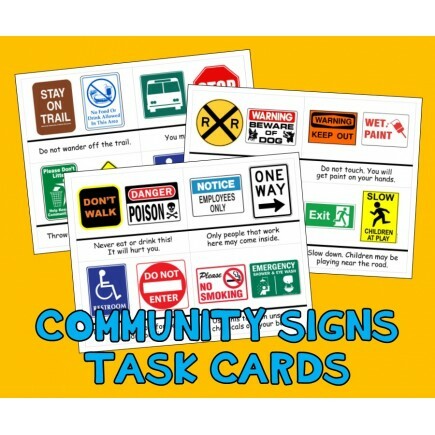 It's perfect for use with individuals or groups of students. Includes 40 task cards sized at 4.25 x 5.5. PERSONAL USE ONLY ... do not sell these files as is, share them, or use them in freebies. You are responsible for having the proper software to download, unzip and use these files. Given a sentence which describes a situation, STUDENT will identify the correct safety sign which may be in the vicinity of the occurring situation, with 80% accuracy, in 4 out of 5 opportunities, by MONTH, YEAR.